Leading Wholesaler of butterfly valves, globe valve, diaphragm valves, sluice valve, stainless steel valves and check valves from Mumbai. We are instrumental in offering our clients a high quality range of Butterfly Valves which can be used for isolating or regulating flow. 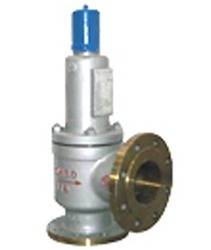 The offered valves are meticulously tested on various quality parameters and are widely demanded in various industries. 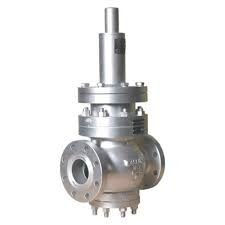 Provided valves are manufactured by utilizing optimum quality raw material and latest technology at our vendors end. In line with industry standard we provide the entire range of valves in various customized options and at affordable prices. 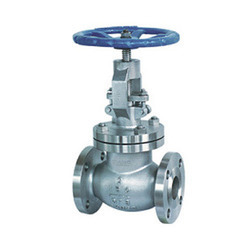 Globe Valves / Bellow Sealed Valves offered are made available in different finish patterns like needle patterns, straight patterns, oblique patterns and angle patterns. Further, these valve types are made available with large variety of internal seat construction variants that make these suitable for flow control or on/off isolation of fluids. The use of latest technology based machinery support including cutting and drilling machines also ensures in them optimum finish standards and functional values. The size range these are made available in include 1" to 30" in pressure class of 150/300/600/900/1500/2500 Class. 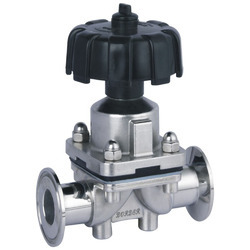 Diaphragm Valves offered are also known by the name of membrane valves and comprise valve body with two/more ports, a diaphragm as well as a saddle/seat upon which diaphragm closes the valve. The construction of these valve bodies can be in different metal options including Brass, Cast Iron, Ductile Iron, Carbon Steel, Stainless Steel. Further, these can also be made available in plastic finish involving use of choices including ABS, PVC-U, PVC-C, PP, PE, PVDF. Further, depending upon temperature, pressure and chemical resistance properties,, these valves can be offered with different body lining material choices including Unlined type or of Rubber lined type with options including NR/Hard Rubber/Ebonite, BR/Soft rubber, EPDM, Fluorine plastic lined type, FEP/F46, PFA, PO. The Diaphragm materials can also be offered in two choices. The first one includes Unlined or Rubber Lined Type comprising NR/Natural Rubber, NBR/Nitrile/Buna-N, EPDM, FKM/Viton and SI/Silicone rubber. The second choice includes Fluorine Plastic Type comprising FEP/F46,with EPDM back, PTFE/F4,with EPDM back and PFA with EPDM back. We offer these in size range of 1/2" to 12" and in pressure class of 125/150 Class. These are well recognized in the market for providing advantages like rigid and sturdy designs with minimum loss of head across valve, allowing perfect interchangeability of components, assured parallelism between side flanges, assured equal taper between wedge faces, excellent finish on spindle threads, low friction as well as smooth operation of valves and longer service life standards. These are available in standard designs of IS 14846 for sizes up to 300mm; PN,1.0 & 1.6. IS 2906 for sizes of 350mm and above and PN 1.0 & 1.6 BS 5150, BS 5163 for size of 50mm to 750mm. 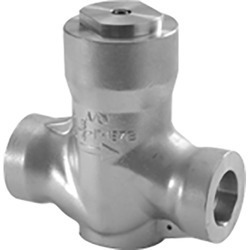 The different type options available for these valves include Bolted bonnet /Non-rising Spindle, Solid taper wedge with contraction material option including ASTM A 126/ IS 210. We are amongst the prominent suppliers of Needle Valves. 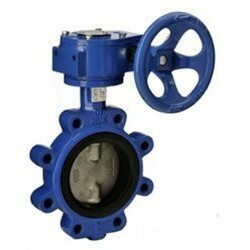 Fabricated using high-grade material, these valves are available in a variety of sizes. Widely acknowledged in industry for its dimensional accuracy, durability and wear & tear resistance, our range finds application in diverse industries for precise regulation of flow rate in systems. We are dedicatedly engaged in offering a commendable range of Check Valves. Besides being manufactured from high-grade raw material and latest technology, the offered range is inspected properly by our vendor’s deft professionals. They are opened by the force of velocity pressure and closed by the force of gravity and back pressure. These valves are single direction flow and restrains flow in opposite direction. Offered valves are heavy duty, bolted cover, renewable seat ring, and body mounted disc swing type. Owing to features like durability and sturdiness, the offered range is exceptionally valued by our precious clients. The offered range is available with us in various sizes and shapes at affordable price. Check valves are heavy duty, bolted cover, renewable seat ring, and body mounted disc swing type. Valves are straight through flow which works automatically. They are opened by the force of velocity pressure and closed by the force of gravity and back pressure. The valves are single direction flow and restrains flow in opposite direction. Distortion, wear and noisy operation of the valve can be avoided by selecting the size of the valve on the basis of flow conditions. Safety Relief Valves offered are programmed for moving certain predetermined limits at the time of releasing pressure, thus helping in avoiding lot of industrial accidents because as well as also providing for improved safety processes. 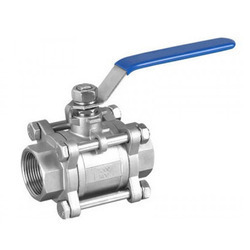 With the valves manufactured from quality carbon steel, alloy steel as well as stainless steel material options, these valves can handle temperatures from 196°C to 550°C as well as pressure from 0.50 to 600 Kg /cm2. Further, being cost effective as well as resistant to corrosion, these valves are made available in size range of 1/2" to 12" as well as set pressure of 0.50 to 600 Kg /cm2. Here, our expertise lies in making available best quality and high performance oriented Safety Relief Valves in exact working specifications as defined by the customers. 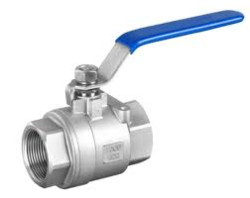 We are an acclaimed name engaged in offering our precious clients a superior quality range of Ball Valve that is used in different industrial fittings. This valve is manufactured using optimum grade raw material and sophisticated technology in synchronization with industry standards. In order to ensure quality, the entire range is rigorously tested on various parameters by our quality controllers. Keeping in mind the diverse requirements of our clients, we provide entire range of valve in various sizes and specifications and at affordable prices. Pressure Reducing Valves offered are backed by precision design and construction standards that make these provide large number of operational benefits including flow and leakage reduction, cavitation damage protection, throttling noise reduction, burst protection, system maintenance savings. Further, this model of pressure reducing valve has hydraulically operated diaphragm actuated control valve that helps in bringing reduction in higher upstream pressure regardless of fluctuating demand or varying upstream pressure. Some other operational features include line pressure driven operations, in-line serviceable options, double chamber designs, moderated valve reaction, protected diaphragm, flexible design, "Y" or angle, wide body for minimized pressure loss, semi-straight flow, stainless steel raised seat, obstacle free, full bore finish and V-Port throttling plug for achieving low flow stability. The size range these are made available in include 1/2" to 4" with pressure class comprising maximum inlet pressure of 350 PSIG and minimum outlet pressure of 5 PSIG.